Low Intensity Laser Therapy is the use of red and near infrared monochromatic light to enhance the body’s natural healing processes. The light source is placed in contact with the skin allowing the light energy (photons) to penetrate tissue, where it interacts with various molecules resulting in the restoration of normal cellular function. The BioFlex Low Intensity Laser Therapy System uses both super luminous and laser diodes to produce photons of light energy. These photons are absorbed by a variety of chromophores (light absorbing molecules) within the cell. When chromophores absorb these photons there is an increase in the amount of biochemical energy within the cells. The resulting increase in energy results in improved cellular function. Light in its various forms has been used for healing from the time of the ancient Egyptian and Greek civilizations. The negative effects of the absence of light on the human body are also well known (Seasonal Affective Disorder, Rickets, etc.). Recent advances in the engineering of laser therapy devices and the development of appropriate dosages for effective therapeutic application has dramatically improved the results of this therapy. You may feel a slight warming of the area being treated. Other than the minor temperature increase you will feel nothing during the therapy. 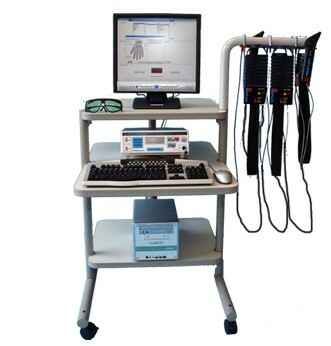 For more research data on the effects and application of Low-Intensity Laser Therapy, contact us.